The opening of the Telenet UCI World Cup Series begins at a bike factory this year and that brings many peoples attention and focus to the beautiful machines that so many of the pro racers ride. This week I visited the Pivot Maxxis p/b Stans-DNA team and talked to Courtenay McFadden and team mechanic Drew Esherick about their Pivot Vault machines. The Pivot Maxxis p/b Stans-DNA team is also sponsored by Easton, so many of the components are upgrades from the stock version of the Vault. 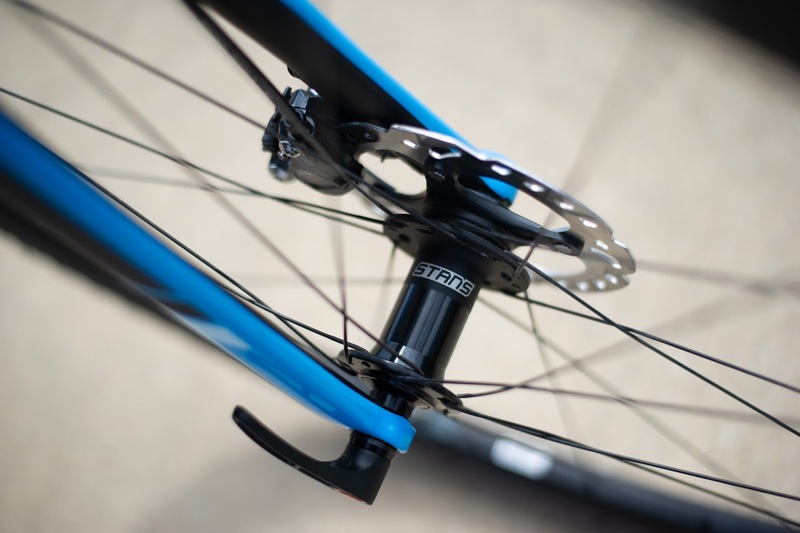 Starting at the front, the Vault uses a 1.5” tapered headtube. 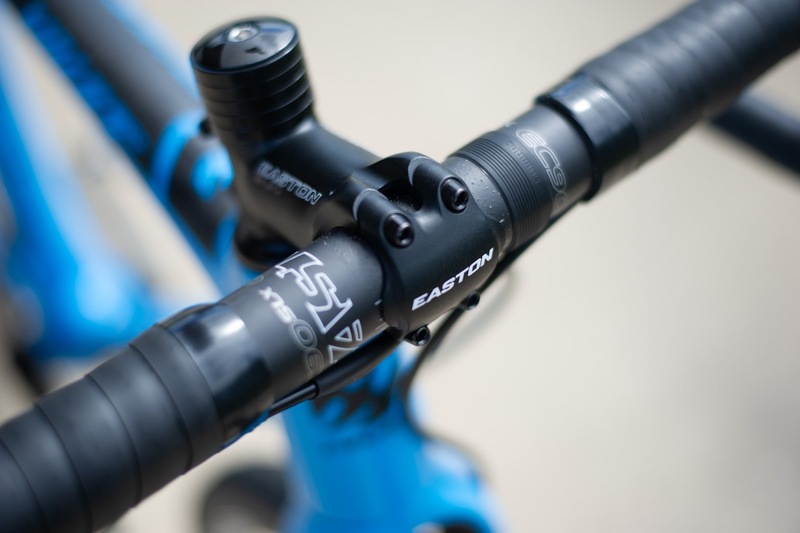 The stem is Easton’s well known top lock system. Note how the stem faceplate is wedge shaped instead of a flat surface. This adds strength and stability to the handlebar-stem junction creating a stiff system to apply lateral forces when climbing and sprinting. The Easton EC90 SLX bars are the lightest that I’ve ever felt on a CX bike but this system is probably the stiffest I’ve ever felt as well. The team’s partnership with Stan’s has been a notable one. Tubeless systems are starting to make a statement in cyclocross and this is one of the major players. Tubeless systems, of course, decrease the need for large numbers of wheels while still providing a huge variety in tread pattern and choices. Stan’s continues to be a leader in tubeless technology. 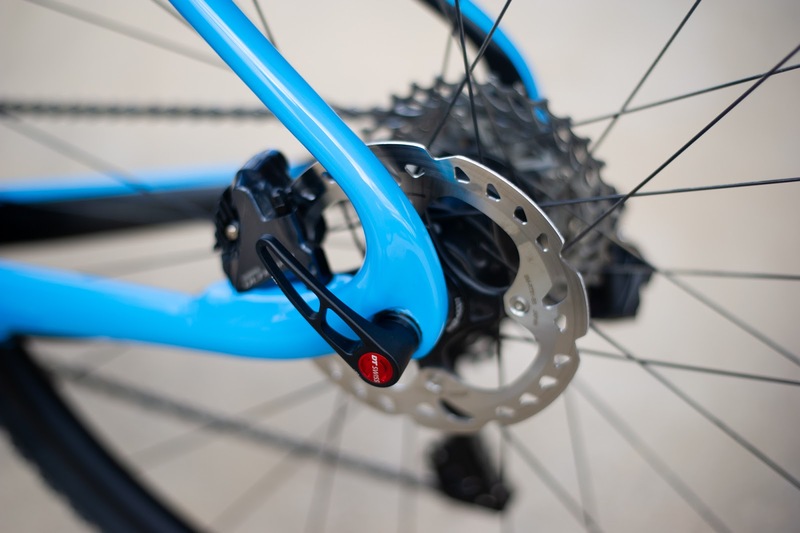 The DT Swiss Thru axle has become a favorite in the industry, the threads always engage quickly during wheel changes and the lever side couldn’t be easier to position once the axle load is applied. 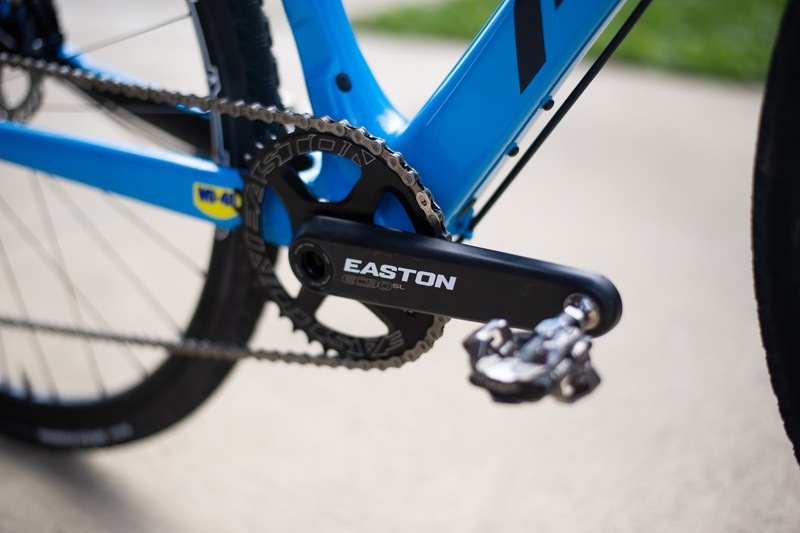 Probably the most important part of this Pivot Vault is the team’s choice to use a BB386 EVO bottom bracket standard. Pivot likes to do things WIDE so this is the perfect BB standard for that. 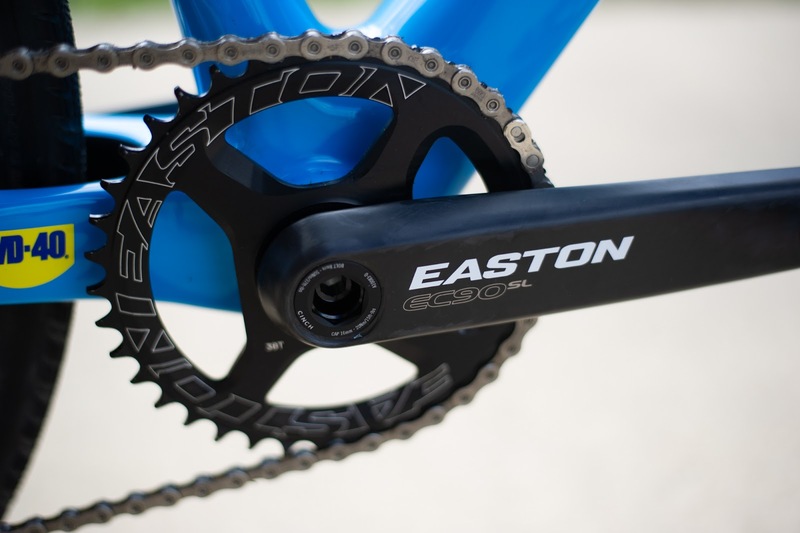 Continuing the Easton party is the EC90 SL crank. As I believe I mentioned in the last Bike Check article, this is simply my favorite crank on the market. Changing rings is simple, the crank is incredibly light and easy to maintain while also being stiff. 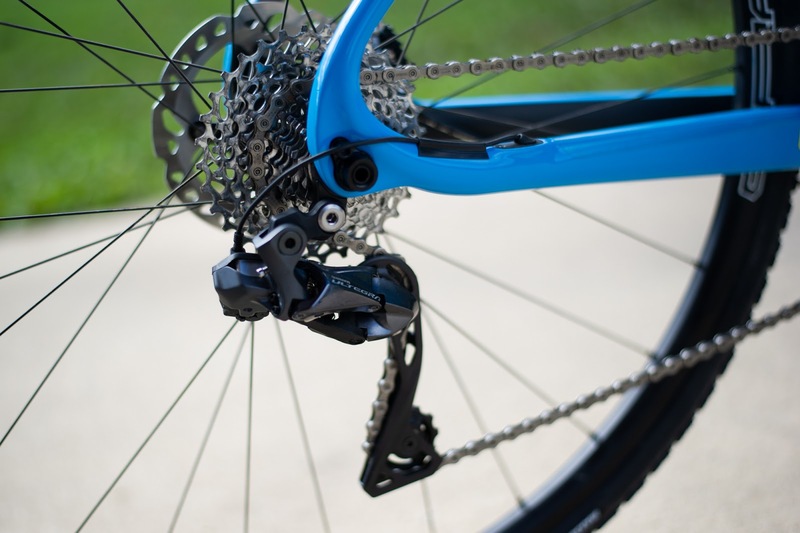 Yes that’s an Ultegra DI2 derailleur. The team is running all Shimano (except for the crank). Note how the hanger is mounted on the inside of the drop out. Like the KindHuman Kudu that I reviewed last time; this provides some protection from breaking while allowing the incredible visual lines that this frame has to be undisturbed. 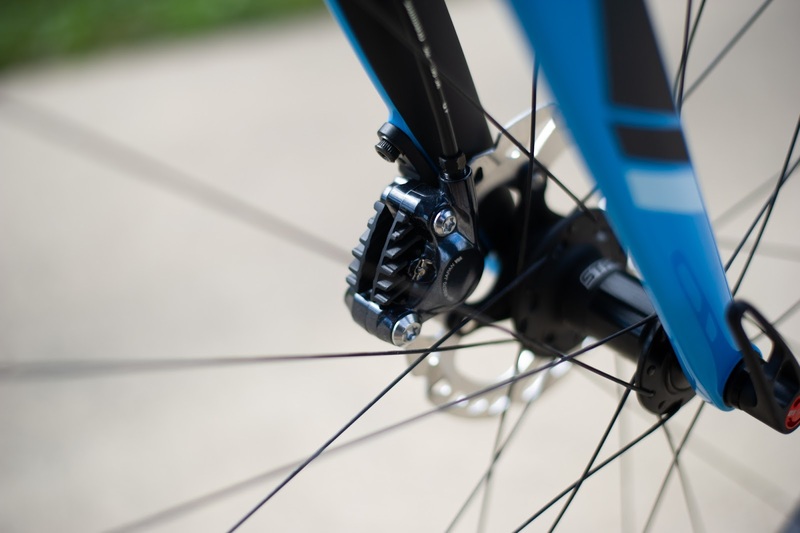 Flat mount Shimano brakes clamping on 140mm rotors provide the stopping power while remaining as light as possible. 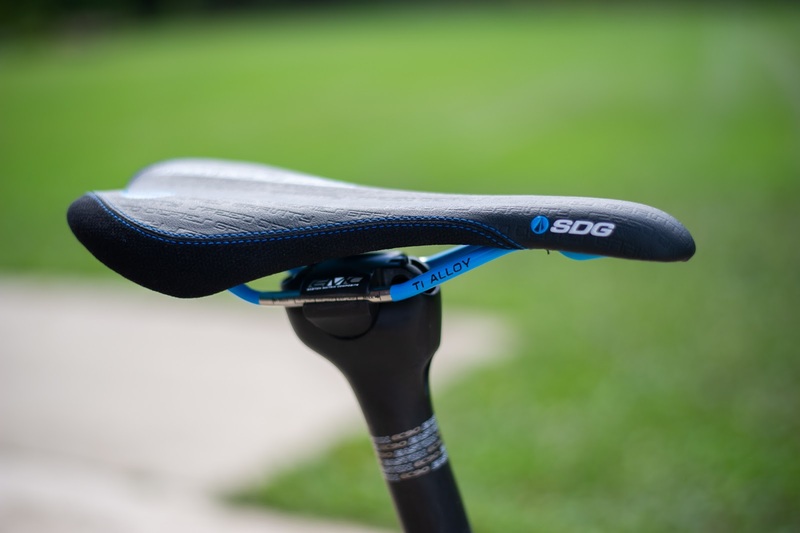 This particular bike is Sofia Villafane’s and also for the second week in a row, what many people consider the most important point of contact with the bike is taken care of by SDG Components and their Circuit Mtn saddle. It comes in at 215g with Ti rails. Sitting atop the 200g EC90 Zero from Easton it is a spectacular combination. 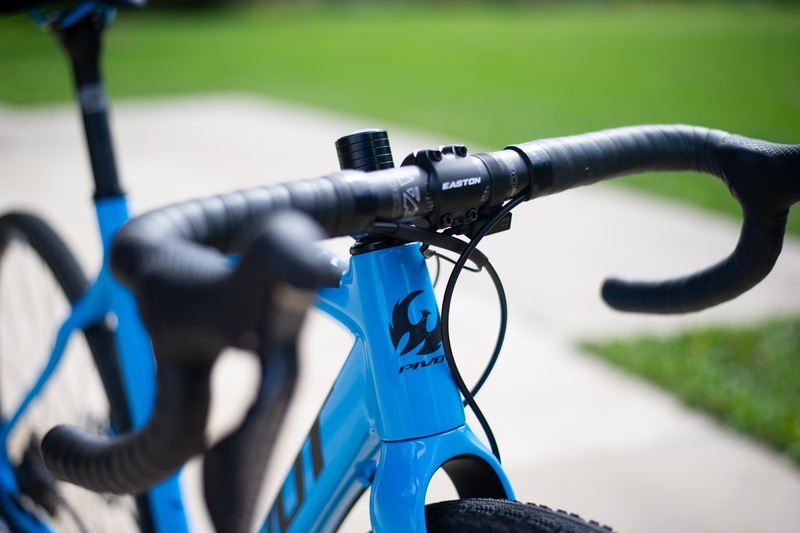 The Pivot Vault is quite simply one of the best bikes on the cyclocross circuit. There are no weaknesses in my opinion.The new front fork design allows tire width up to 48c!! Making it a player in the gravel grinder market as well. With the Easton and Shimano combination there is really nowhere to improve this setup that I can see. Look for Courtenay McFadden , Jamey Driscoll and Sofia Villafane at most American UCI events around the country this season.